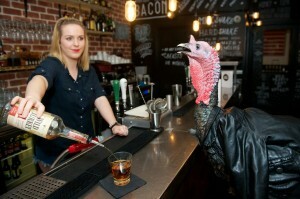 Honky Tonk hosted the biggest and the best Thanksgiving party in London with two rammed restaurants in Clapham and Chelsea selling #RockStarTurkey, a new dish involving a farm-reared bird and a wild and crazy rock and roll kind of roasting. Get a big fat turkey and dunk it in 4 litres of bourbon mixed with water, Malden sea salt and brown sugar. Marinade the bird in this overnight. Serve up with bourbon and honey on the rocks. Thank you to all our friends including 80’s rock star Mark Shaw from Then Jerico who came to feast and give thanks with us. 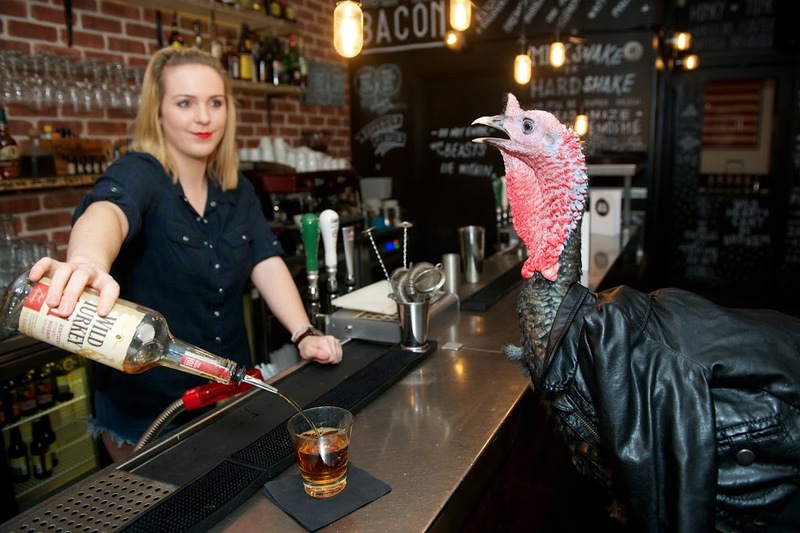 ***We would like to add that the turkey we feasted on was not the turkey in this photo…Bernard the actor turkey has been pardoned and will spend the rest of his days working for Animal Actors, appearing in panto, etc.